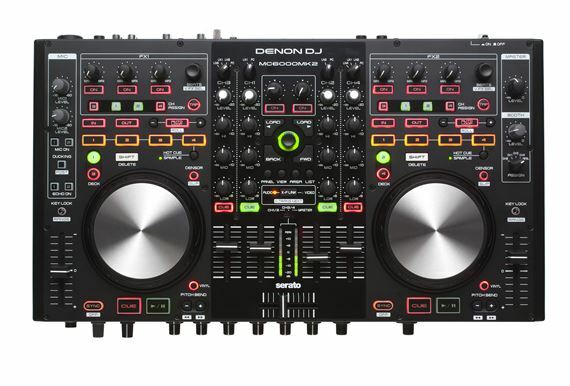 Shop Denon MC6000MK2 DJ Mixer and USB Controller from AMS with 0% Interest Payment Plans and Free Shipping. Effective immediately, new MC6000MK2 customers will receive a Serato DJ voucher (via Denon's website when registering) for the full-version of Serato DJ. 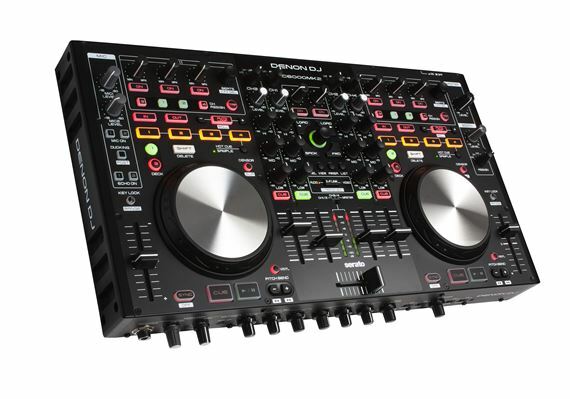 This free $129 added value makes the MC6000MK2 best in class for Mobile DJs without question. 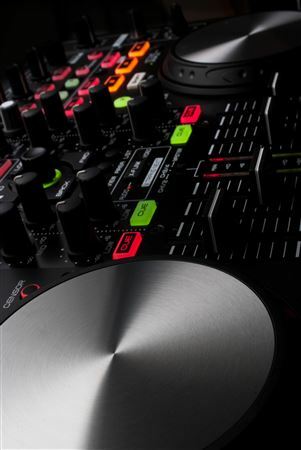 Denon DJ's flagship pro DJ controller and digital mixer for the most discerning of contemporary club and mobile DJ's! The MC6000MK2 features a slimline, table-top steel chassis and a 4 channel/8 source real-time matrix operational digital mixer with an uncompromising 24-bit, class leading digital and analog audio interface. Fully MIDI compliant design allows the MC6000MK2 to work right out of the box via supplied or created mappings. 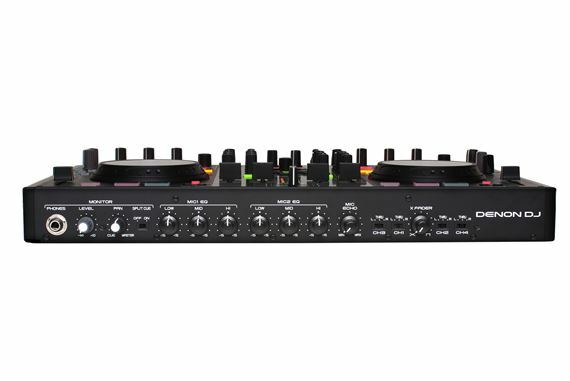 The MC6000Mk2 enables dual-deck functionality, opening up the creative possibilities of 4 deck mixing to all, with the unit's top panel placing the all important transport, pitch, EQ, loop, hot-cue/sample, navigation and FX controls ergonomically positioned to ensure optimal, error free live performance. Take advantage of the video mixing features of the optional Serato Video plug-in to program, mix, add transition FX and scratch video just as they would with audio. 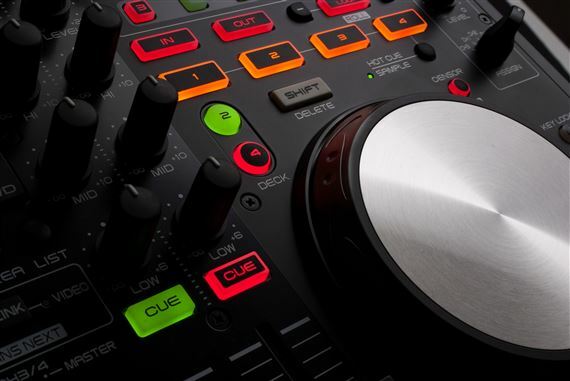 The logical, illuminated control layout and almost transparent accessibility of the MC6000MK2 gives DJ's the confidence that all faders, dials and buttons are exactly where they need to be. The top panel ensures maximum ease and efficiency when controlling Serato Intro, allowing access of such 'on-trend' DJ performance modes as 'Roll', 'Sensor' and 'Slip'. Instant screen view preferences like Serato's 'Panel', 'View', 'Area' and 'List' can also be selected with individual buttons and in addition, with the MK2 unit's, now four, independent deck layer keys, fast accurate deck/track selection is guaranteed. The ability to record and playback a set is becoming more and more important in the current world of DJ fan-base social media sharing. The MC6000MK2 effortlessly accommodates this necessity with its Line 3/4 Thru to PC Mode, for both Mac and PC computer recording. Classic 'Vinyl' emulation is also popular during live performances and likewise, the MC6000MK2 makes this mode available, via high-resolution platters at the touch of a button. Additional control features are added to this new and improved unit, bringing Beats Parameter knob (dedicated for controlling beat attributes), FX Tap Button (to add BPM data), FX Mode Change and now 8 Assign keys for fluid and comprehensive effects control. The MC6000MK2 ensures pro resolution to the demands of a wide range of DJ's, offering dual balanced mic inputs (with independent echo FX and EQ) for those who like to 'rock a party' with their voice and personality. Uncompromising professional balanced and non-balanced audio outs ensure source sound quality is world class, whether the DJ is playing a live radio gig, small house-party or a large festival stage! Also, being a 100 percent, fully MIDI compliant controller, the MC6000MK2 is literally unlimited in its ability to partner alternative DJ software solutions, natively supported by Serato DJ (full version), Virtual DJ and Mixvibes Cross. 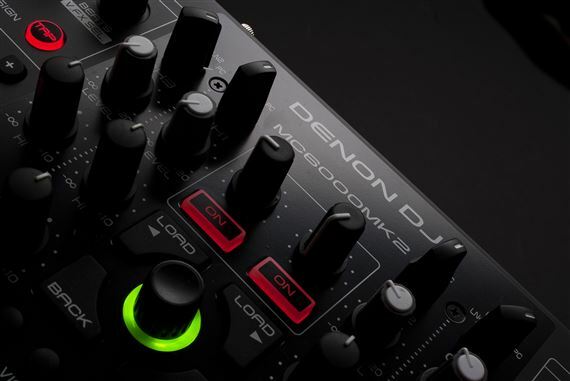 Denon DJ supplied mappings ensure compatibility with Native Instruments Traktor Pro2 software. This controller is prefect for me I travel across the country Djing and this unit is compact were I can put it in a suitcase with everything I need. 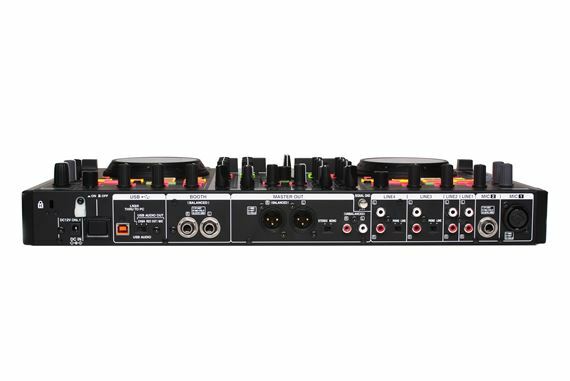 It has a powerful sound card and it’s gets the job done this is the best investment I ever made it makes things easier for me when I do my shows. Thank you American musical for a great price and a great unit. This is a great sounding product, built like a tank and sure to perform day in and day out. Logical controls, great feel and flexibility to meet every need. This is a professional tool with a steep learning curve, ID-10t's need not apply. I really like the new layout of this mixer compacted to the old model. A Professional powerhouse for all of your dj needs.